Happy Valen-teeny-weenie's day, everyone! If you are wondering, that's what my mom and I have always said to each other on Valentine's day :) So you should feel very special. I just wanted to take a few minutes to brag on my man and do a small weekend re-cap. Taylor is not a planner. Other than our engagement, I've never really known him to plan anything. So for Valentine's Day, I didn't really expect a plan. I simply expected us to spontaneously decide where we'd be eating and watch a movie at home, which I was fine with. But yesterday, I woke up late and Taylor had already left for school. 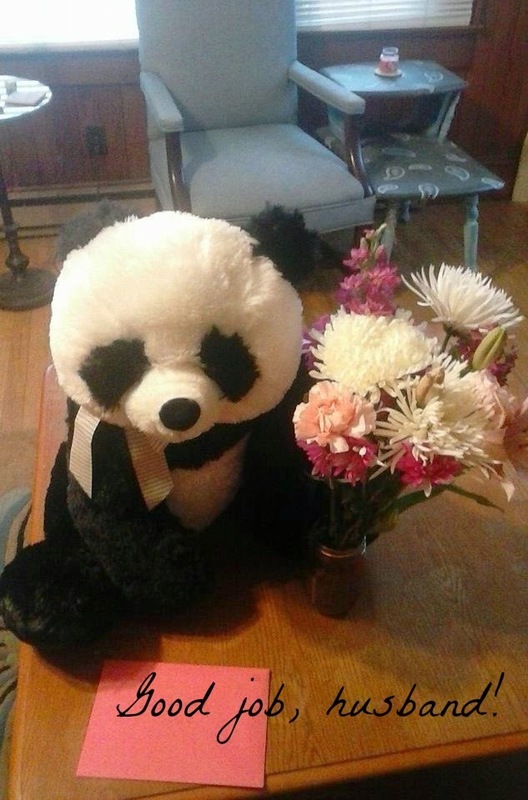 I stumbled out of the bedroom towards the coffee pot and there on my desk sat the cutest stuffed panda bear (pictured below), a card with my nickname from freshman year of college, and a gorgeous bouquet of flowers. He got me this time :) I was so surprised that I actually cried a little! 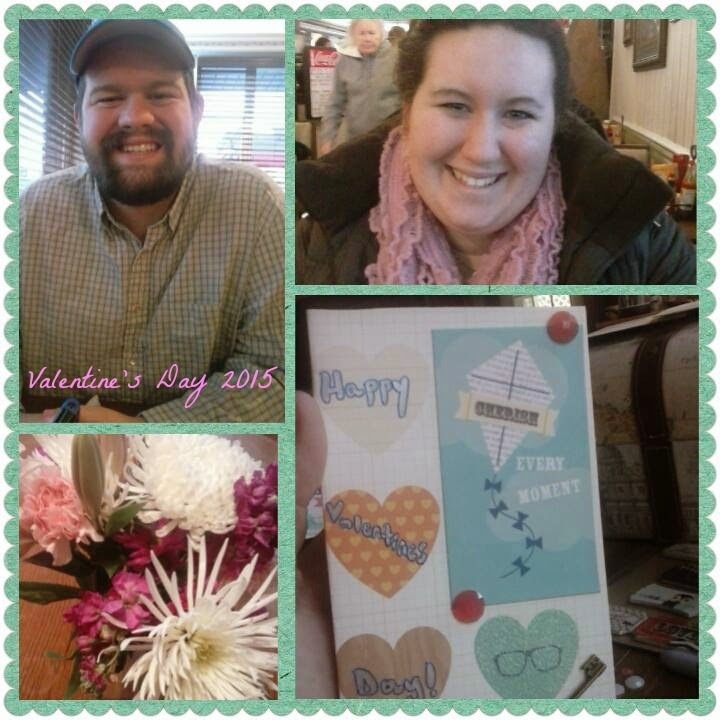 When he got home we ate a small meal together, but I was hosting a Mary Kay party and Galentine's Day later that evening, so we didn't have much time. ate dinner at Clyde's (a local diner) and now we are at Taylor's parent's house watching the Duke game and the 3-Point Competition. How was everyone else's Valentine's Day/Galentine's Day/Saturday? Great job T! Sounds like a wonderful day!